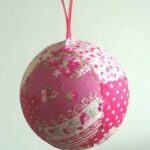 This photo bauble ornament was first shared in Dec 2011 and has been updated and republished for your convenience! 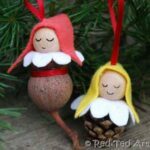 A version of these ornaments feature in our new Christmas Ornament Book. 30 of our favourite ornaments brought together in one place. Sorted by age. Each craft is shared on one page – making the perfect worksheet print outs. Lovely to have them all in one place too! 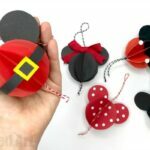 As you know we love love love PAPER ORNAMENTS.. and have a HUGE selection for you on the blog already. 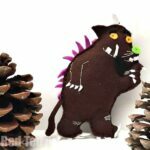 Everything from Paper Princess Ornaments to Unicorn Paper Ornaments. Here is a “Photo Keepsake” version of this oh so favourite craft of ours! I confess that this video is a little bit old.. but hopefully it will still provide you with the inspiration. Alternatively, look at the step by step instructiosn below! 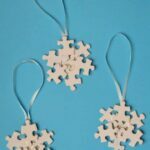 Paper Photo Ornament Keepsake – step by step instructions! 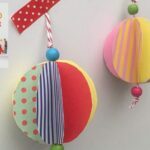 You can make these paper bauble using 6-8 “paper discs” / Photos. Normally, I like to use “more”.. but with these photo baubles, I love “less”, so that you can see the photos better! Make a paper circle template (we used a glass). Cut out six colourful pieces of paper. 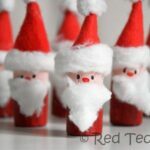 Prepare your photos – make sure that they are smaller than your colourful paper. I made sure that there is 1 cm rim. 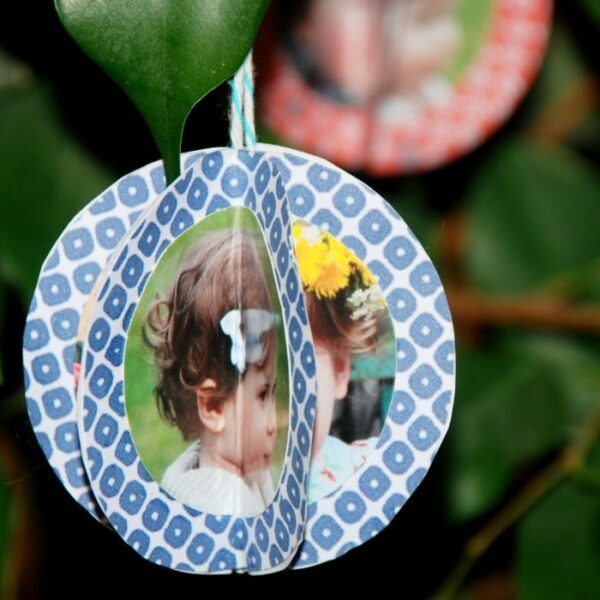 Glue your photos onto your siz circles. Glue on half to the next half. Add all the 6 halves together, until you have a stack of circles. Cut a piece of string for hanging. Add glue to the top and bottom of your stack. Align your string. Then bring the bottom half of the circle flip it over and glue to the top one. You now have a photo bauble. Your keepsake Photo Ornament is finished. Enjoy! *Rummages around in the bottom of the veg box for glue* Seriously, those look great so I suppose I will have to get a start on them! These decorations are very cute! We made them last year. Actually Mummy – Oh no! Wasnt meant to make anyone feel bad!!!! Mermaid – lovely, aren’t they?! Ich glaube, ich werde welche für David & Renee als Gastgeschenk machen. 6 is juts our number. ooh thanks for the invite and will do! Let me know when it is live! PS thank you everyone for you lovely comments! Wish I could take the credit.. but got the idea off the Kodak site!!! These are adorable! 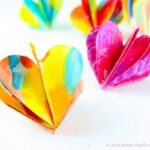 I would love it if you would share them at Sharing Saturday at http://craftymomsshare.blogspot.com/2011/12/sharing-saturday-8_09.html. Thank you! These were great! I only wanted to mention that the link for your “coloured paper,” was not working (under your list of materials). Thanks for the lovely easy idea!!! Oh thanks! Will check it!